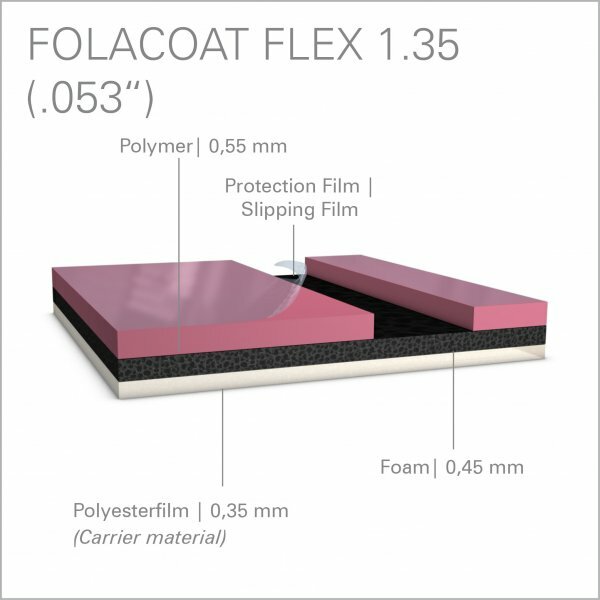 The Folacoat Flex is a compressible coating plate in the 1.15 and 1.35 mm thickness and can ensure best coating coverage of the sheet, even on critical substrates (recycled cardboard). 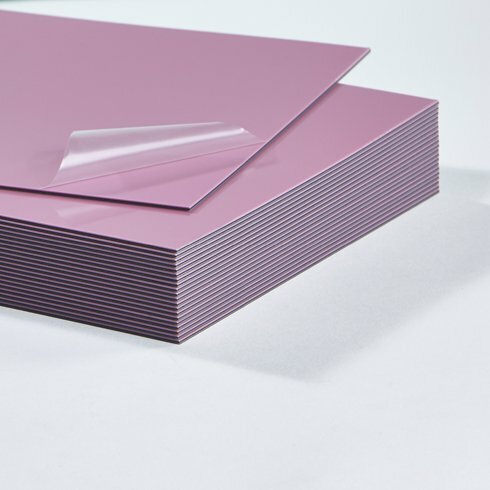 The compound of the pink polymer and the compressible layer transfer the water-based coating in an optimal manner. The compressible layer improves the runnability of coating plate in the printing process and improves the coating transfer. The single-layer polyester carrier provides the necessary dimension stability and allows the multiple use. This plate can be cut manually by hand or with a CAD cutting system. NOMINAL THICKNESS 1.15 mm: Recommended cutting depth: about 0.70 mm (.0276”). Please pay attention to cut only in the pink polymer and the foam. Deeper cuts will reduce stability and must be avoided. If you can see white cutting lines on the backside of the coating plate the carrier was scored. If this happened please do not use this coating plate, because it may break in the press.